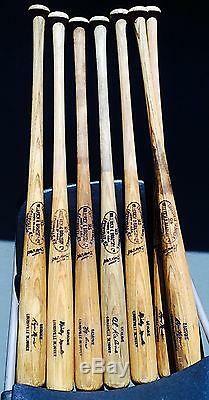 You are getting One Set (seven -7-bats) -unbroken. 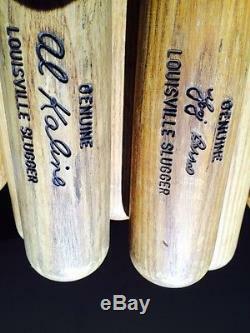 Authentic Louisville Sluggers Prop bats used in the HBO movie 61. 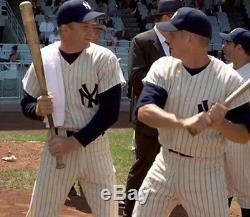 This unique and special order was made by Billy Crystal through the production's prop-master... 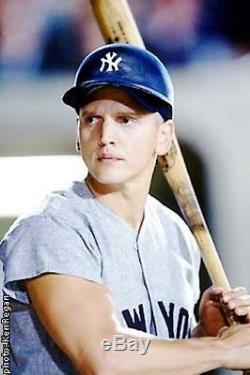 Directly to Louisville Slugger -- EXCLUSIVELY for this HBO movie for use by the actors (Thomas Jane as Mantle, Barry Pepper as Maris). There are only about a dozen TOTAL in existence. 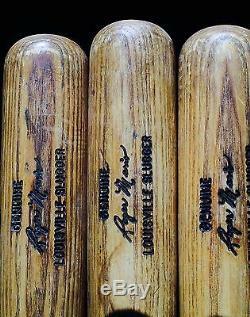 Set includes 2 RARE Mickey Mantle bats , 3 Roger Maris bats, 1 Yogi Berra, and 1 Al Kaline OFFICIAL movie prop bats. Nothing out there like it, so what's it worth? 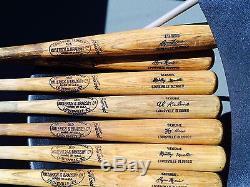 The item "Billy Crystal Maris Mantle 61 Memorabilia Movie Props Baseball Bats" is in sale since Monday, January 5, 2015. This item is in the category "Entertainment Memorabilia\Television Memorabilia\Props\Originals". 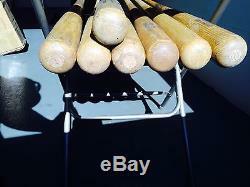 The seller is "filmrat" and is located in Los Angeles, California. This item can be shipped to United States.